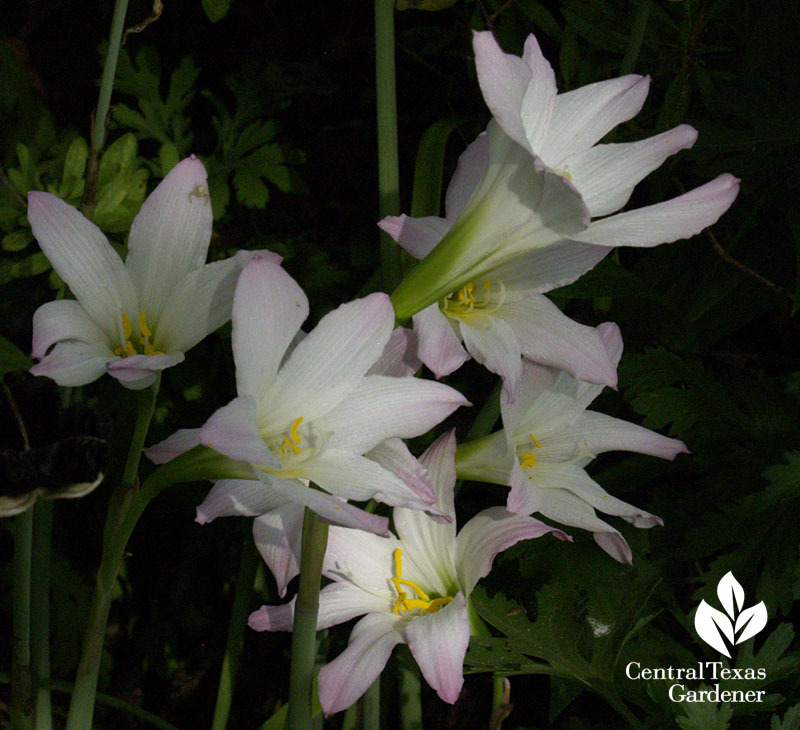 When it’s this hot & icky, what fun to get a rain lily surprise, even when it hasn’t rained! Boo, will it ever again? My little garden team will make it through this misery, despite the 6 p.m. weariness. 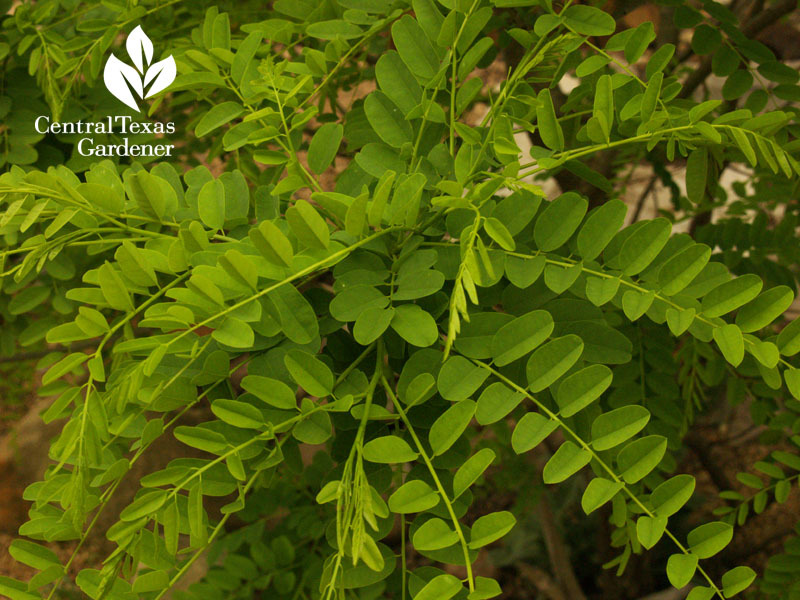 All rebound in the night, which includes Mexican Bird of Paradise (Caesalpinia mexicana). Mine is from Bob, a dear CTG friend in San Antonio. A few years ago, he arranged to get me a seedling he’d started from his plant’s seeds. I never met him, but it broke my heart when he died unexpectedly last fall. His legacy bloomed the first time this year, in his honor, I just know it. 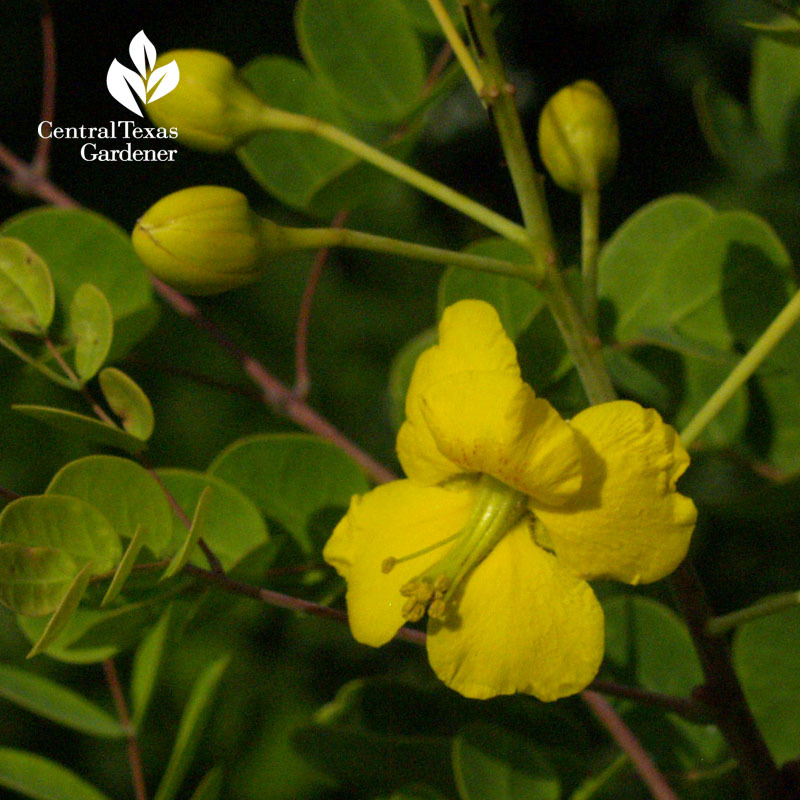 A related plant is Senna (or Cassia in its former classification). 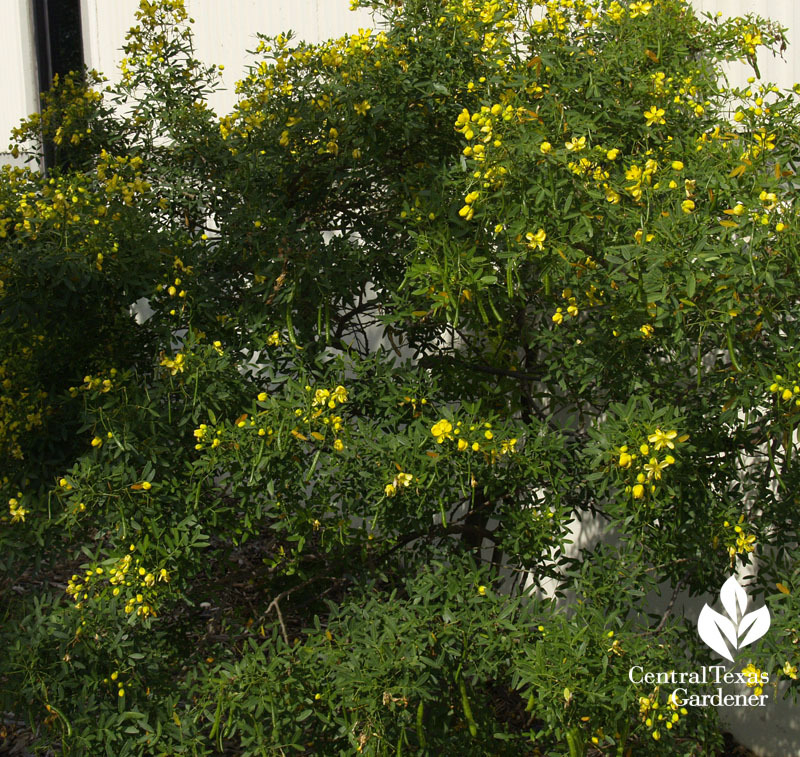 Since this low-water shrub/small tree is such a hit with butterflies, a larval food for Cloudless Sulphur butterflies, and drought tough, Daphne makes it her pick of the week. 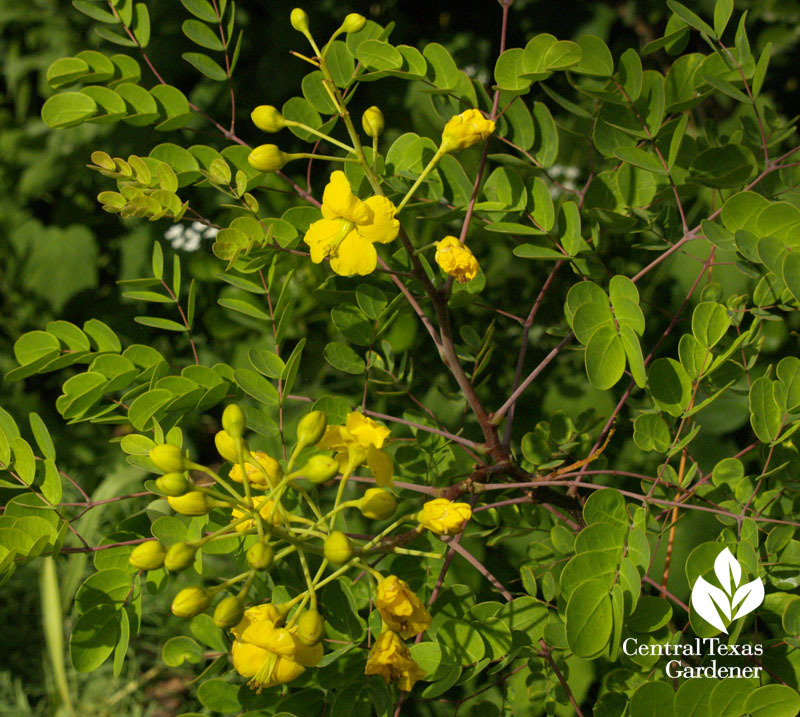 There are indigenous species and others native to our South-of-the-Border neighbors, like Senna corymbosa, which survives winter just fine at Travis County Extension. Another accent tree in the Fabaceae family is Arroyo sweetwood (Myospermum sousanum). 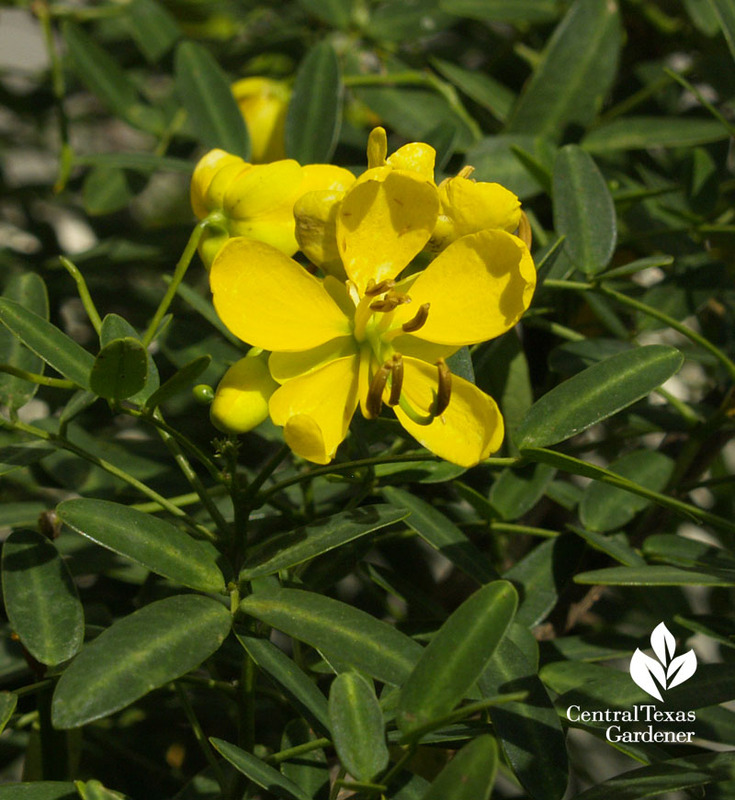 Native to Mexico, its spring flowers feed butterflies, bees, and hummingbirds. It’s deciduous and has never suffered winter damage in its Temple garden. Great excitement this week! Dear Sharon Lovejoy (with equally dear husband Jeff Prostovich) dropped by CTG to enchant us yet again. Don’t you adore that smile? 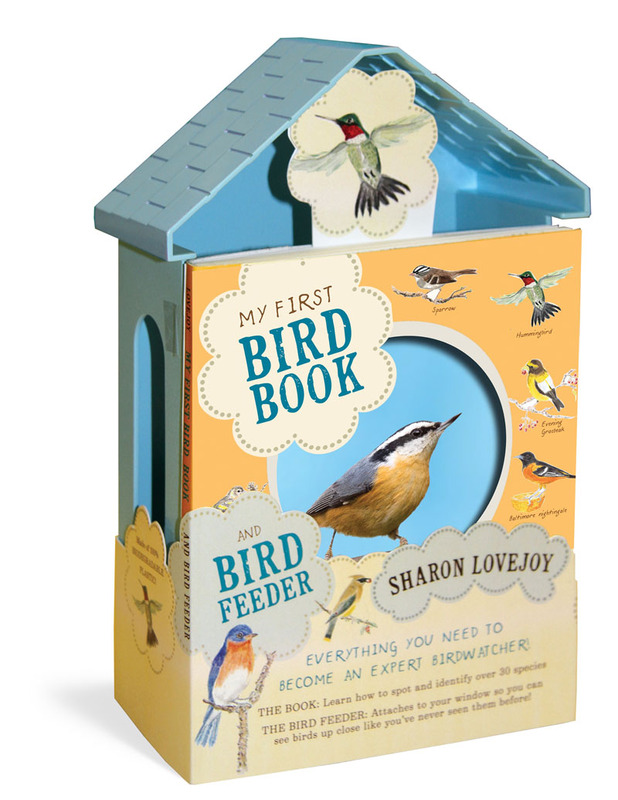 This time, she charms us with My First Bird Book, filled with dirty birdie facts, fun, and hands-on projects to connect children to their bird world. Sharon even does a few bird words for us live on camera! And make no mistake: even though geared for kids, Tom and I learned a lot (as you will too). We plan to make a few of her projects, like the bird hat wren house. Plus, her darling illustrations captivate me over and over again. Actually, I followed Sharon through her book process and PRECIOUS illustrations via her blog. Catch up on her blog, web info, and all things wonderfully Sharon! 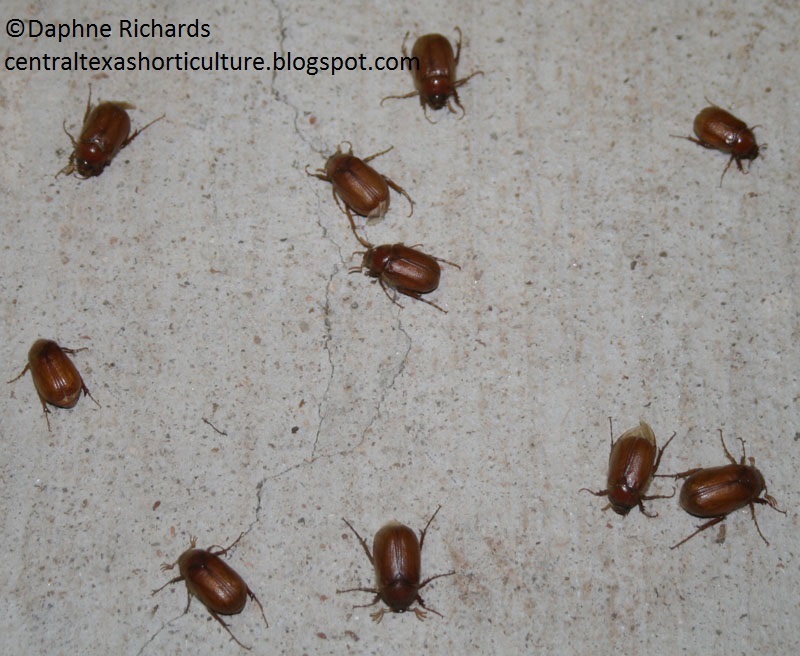 June bugs fascinate kids, since they can carry them around when their flying days are over. This year, some adult gardeners have just been pestered to pieces with them. To control the upcoming larvae (grub worms), Daphne explains options and timing. As she tells us, it’s too late to control in spring when you find mature grubs at planting time (other than squishing or throwing them to the birds)! They’re about to be adults. You’ve got to do it about 6 weeks after you see the flying adults, when they’ve laid their eggs underground and the larvae hatch. There was a time when my husband and I couldn’t go outside at night without hundreds battering us. As our wildlife habitat progressed, the population declined. One toad family got really fat on our patio with a flick of their precise tongues! 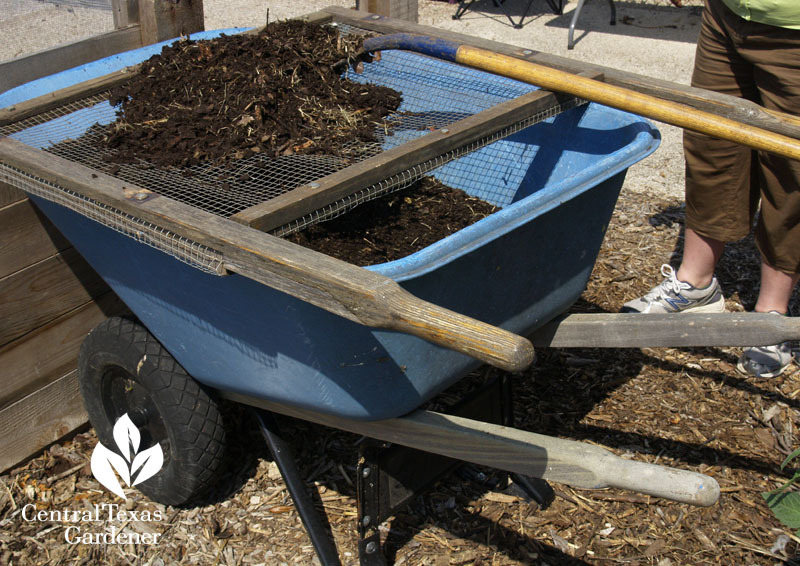 Our cool upcycle tip of the week: Master Gardener Sheryl Williams designed this easy-to-use compost screen from defunct wheelbarrow handles. Equally creative husband Ed Kimball constructed it to last forever! 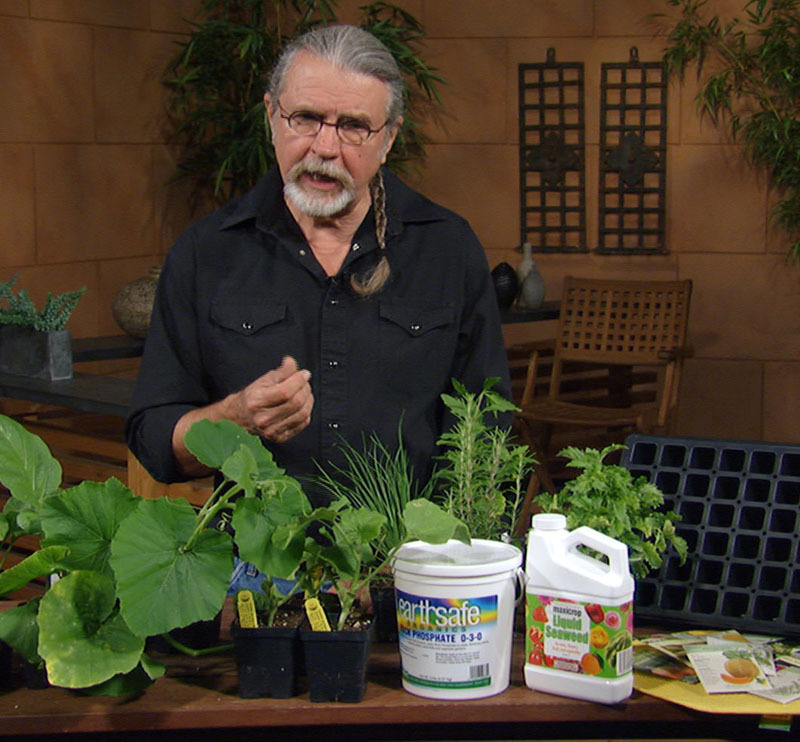 And even though it isn’t exactly cool right now, John Dromgoole shows how to keep on planting those vegetables in protected seed trays. 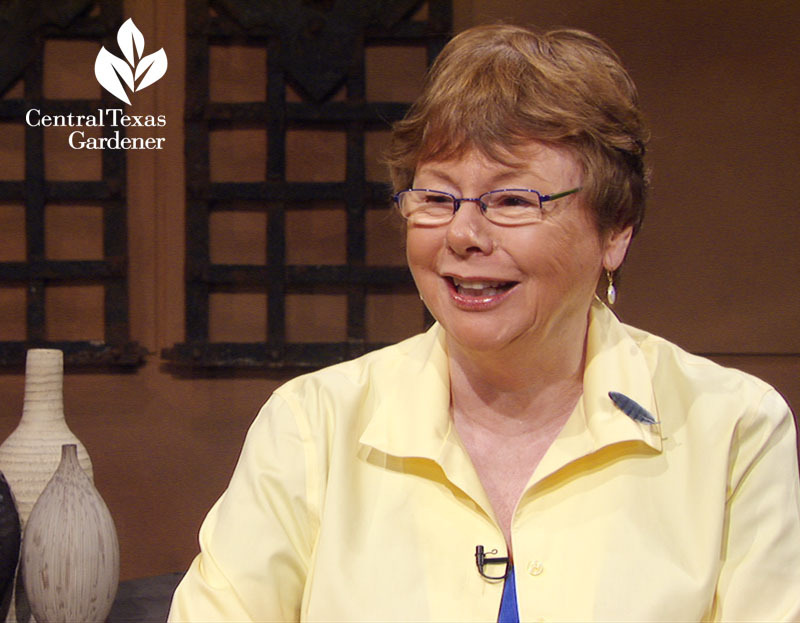 With a little shade, you can plant transplants, like those peppers that always go crazy in fall. 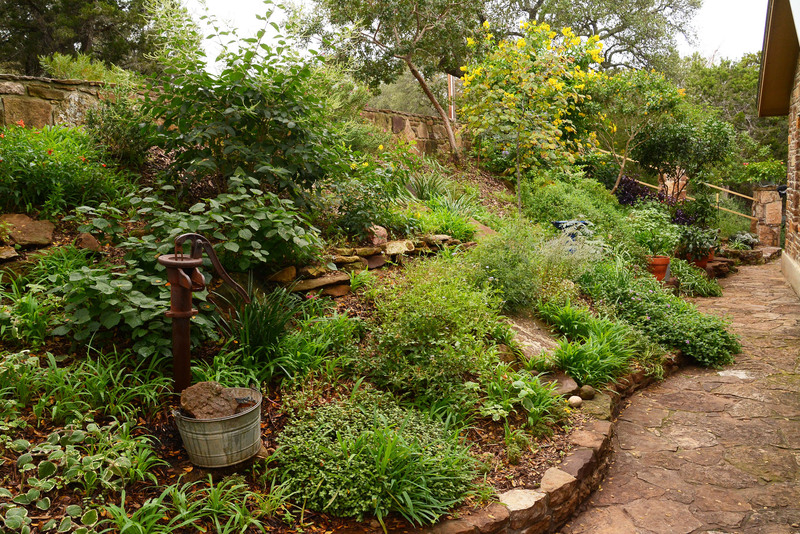 On tour, visit the Bulverde/Spring Branch Library butterfly (and bird) garden, where the Comal Master Gardeners excite families to check out more than books.